Finally start of the forest part of WOC 2017! The women start from 10:14 CET (11:14 local time) with decisions around 13:20 CET. The men start from 11:43 CET with decisions around 15:50 CET. With estimated winning times of 80 minutes for the women and 100 minutes for the men this is going to be a long and interesting day. 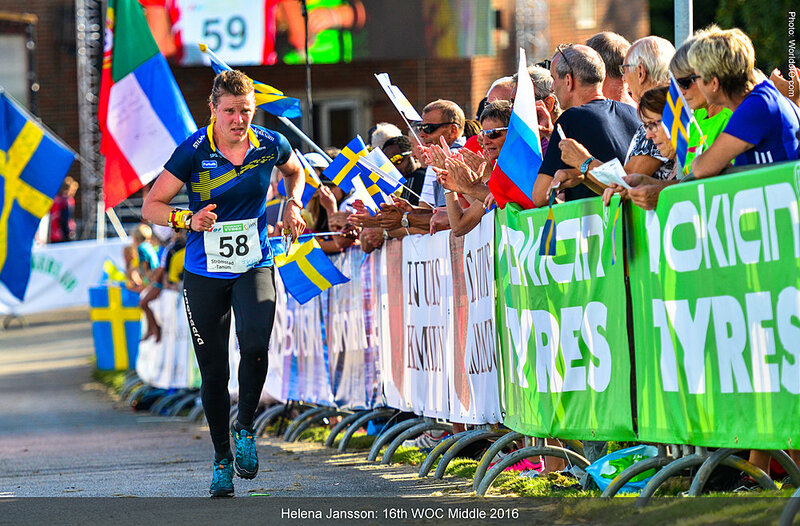 Read on for a preview of the favourites for WOC 2017 Long. This will surely be a very interesting long distance race with many runners who can go all the way to the top both in the men’s and women’s class. Last year’s champions Tove Alexandersson and Olav Lundanes are the biggest favourites this year again, but there are many athletes who want to give them a tough battle for victory! Is Tove Alexandersson 100% recovered from the cold which made her skip the Sprint Final on Sunday? Is Olav Lundanes as strong in the special Estonian terrain as he was on “homeground” in Strömstad last year? Women: Is Alexandersson back at 100%? The main favourite in the women’s class would normally be the Gold medalist from both the World Championships (see medalist picture above) and European Championships Long distance last year – Tove Alexandersson (Sweden). 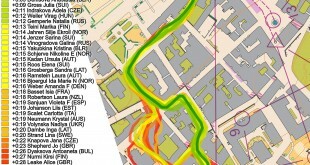 But Alexandersson had to skip the Sprint Final after catching a cold between the Sprint Qualification and Sprint Final. Is Alexandersson 100% fit again? If yes, it will be very difficult to beat her based on her earlier performances, but this will add an extra element to the excitement. Russian Natalia Gemperle, silver medalist from WOC Sprint on Sunday, is the biggest contender to Alexandersson. Gemperle took the silver medal at WOC Long last year, and has shown impressive shape all of this season. Even with Alexandersson in top shape, Gemperle is a threat to Alexandersson on a top day. Last year Anne Margrethe Hausken Nordberg took the bronze position, but the Norwegian veteran has not shown the same top results this year. She is, however, a real fighter, and must be counted as an outsider in the tough Estonian terrain. Swiss Judidth Wyder was the fourth woman fighting for the medals at WOC last year, loosing out and finishing fourth; Wyder is not running WOC this year as she is expecting her first child. There are, however, several other athletes who could take a medal or even challenge Alexandersson and Gemperle for the victory. Helena Jansson (Sweden) has had a very good spring season, and has been reported to be in excellent shape. Jansson has not had the possibility to focus on the Long distance the last years due to injury problems, but the Swede can really shine on the Long distance when she is in shape. Emily Kemp is probably a better tip on the Middle distance than on the Long distance, but the Canadian could very well go all the way to the medals even on the long distance on a good day. 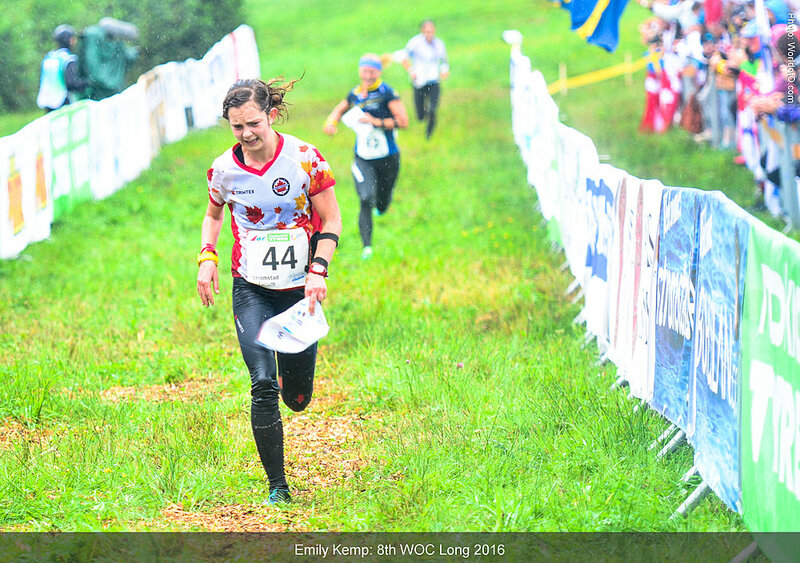 Emma Johansson (Sweden) and Sabine Hauswirth (Switzerland) have both run some good long distance races, but not at the World Orienteering Champsionships. These two runners cound among the outsiders – along with Maja Alm, Anastasia Denisova, Ida Marie Næss Bjørgul, Sabine Hauswirth and Saila Kinni. There are also other runners who could battle for medals on a good day. Notably Svetlana Mironova is not starting – she was running the Sprint Relay for Russia Sunday. Below is a list of the Top 25 men long distance runners at the start, according to a point system which weights medals in the biggest championships the last years highest. 1. 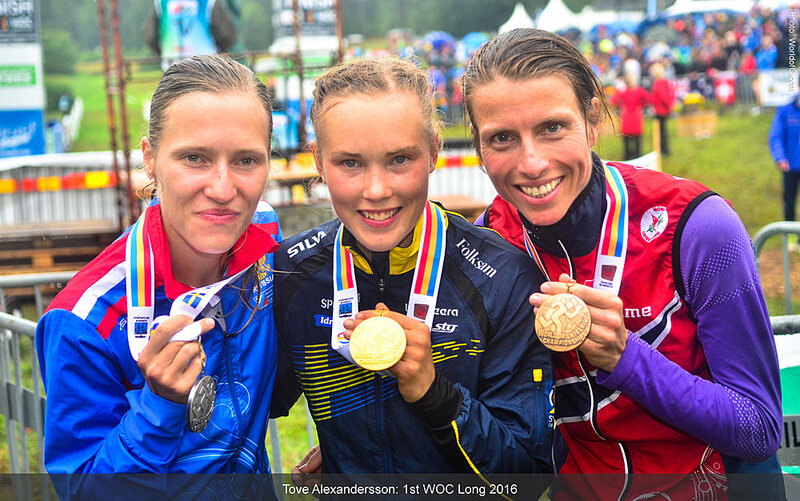 Tove Alexandersson SWE Gold WOC Long (2016), Silver WOC Long (2014), Gold EOC Long (2016), Silver WOC Long (2013), Gold WC #3, Long (2017), Gold WC #3, Long (2015), 4th WOC Long (2015), Gold WC #2, Long (2014), Gold WC #8, Long (2014), Silver WC #4, Long (2015), Bronze WC #9, Long (2016), Bronze WC #8, Long (2011), Bronze JWOC Long (2011) Ranked Gold in World Ranking. 2. Anne Margrethe Hausken Nordberg NOR Bronze WOC Long (2016), Silver EOC Long (2016), Gold WC #10, Long (2015), 7th WOC Long (2015), 5th WOC Long (2012), Gold EOC Long (2008), 8th WOC Long (2010), 6th WC #4, Long (2015), 6th WOC Long (2009), Gold WC #10, Long (2008), Silver WC #5, Long (2008), Silver WC #11, Long (2005) Ranked 8th in World Ranking. 3. Natalia Gemperle RUS Silver WOC Long (2016), 5th WOC Long (2015), 4th EOC Long (2016), 4th WC #3, Long (2017), 16th WC #9, Long (2016), 11th WC #10, Long (2015), 50th JWOC Long (2010), 62nd JWOC Long (2009) Ranked Silver in World Ranking. 4. Sabine Hauswirth SUI Silver WC #9, Long (2016), Silver WC #10, Long (2015), 10th WOC Long (2016), 5th EOC Long (2016), 11th WOC Long (2015), 5th WC #3, Long (2017), 6th WC #3, Long (2015), 15th WC #4, Long (2015), 26th WC #8, Long (2014) Ranked 5th in World Ranking. 5. Helena Jansson SWE Bronze WOC Long (2011), Silver WC #3, Long (2017), Bronze EOC Long (2010), 4th WOC Long (2010), Silver WC #10, Long (2010), 7th WC #10, Long (2015), 8th WOC Long (2009), 9th WC #8, Long (2014), 9th WC #2, Long (2014), Bronze JWOC Long (2003) Ranked Bronze in World Ranking. 6. Emily Kemp CAN 8th WOC Long (2016), 20th WOC Long (2015), 7th EOC Long (2016), 25th WOC Long (2014), 25th WOC Long (2013), 8th WC #3, Long (2017), 28th EOC Long (2014), Bronze JWOC Long (2012), 35th WC #4, Long (2015) Ranked 6th in World Ranking. 7. Emma Johansson SWE 7th WOC Long (2013), 15th WOC Long (2016), Bronze WC #3, Long (2015), 30th WOC Long (2015), 6th WC #3, Long (2017), 38th EOC Long (2016), 9th WC #4, Long (2015), 9th WC #10, Long (2015), 28th WC #8, Long (2014) Ranked 14th in World Ranking. 8. Saila Kinni FIN 5th WOC Long (2016), 11th WOC Long (2014), 20th EOC Long (2016), 4th WC #8, Long (2014), 24th EOC Long (2014), 10th WC #9, Long (2016), 13th WC #3, Long (2017), 19th EOC Long (2012), 24th WC #4, Long (2015) Ranked 11th in World Ranking. 9. Julia Gross SUI 11th WOC Long (2016), 23rd WOC Long (2015), 17th WOC Long (2014), 8th EOC Long (2016), 9th EOC Long (2014), 5th WC #9, Long (2016), 8th WC #10, Long (2015), 12th WC #3, Long (2017), 10th WC #4, Long (2015) Ranked 10th in World Ranking. 10. Anastasia Rudnaya RUS 13th WOC Long (2016), 4th EOC Long (2014), 16th WOC Long (2013), 31st WOC Long (2014), 12th EOC Long (2016), 26th WOC Long (2012), 9th WC #9, Long (2016), 10th WC #3, Long (2017), 29th EOC Long (2012) Ranked 16th in World Ranking. 11. Ursula Kadan AUT 29th WOC Long (2016), 15th WOC Long (2014), 32nd WOC Long (2015), 36th WOC Long (2013), 22nd WOC Long (2012), 30th EOC Long (2016), 24th WOC Long (2011), 45th EOC Long (2014), 23rd WC #3, Long (2017) Ranked 36th in World Ranking. 12. Annika Rihma EST 26th WOC Long (2016), 24th WOC Long (2015), 33rd WOC Long (2014), 24th WOC Long (2012), 29th EOC Long (2016), 15th EOC Long (2014), 38th WC #3, Long (2017), 49th WC #4, Long (2015), 36th WOC Long (2006) Ranked 56th in World Ranking. 13. Merja Rantanen FIN 7th WOC Long (2012), 18th WOC Long (2015), 8th WOC Long (2011), 14th EOC Long (2016), 9th EOC Long (2012), 20th WOC Long (2010), 11th WC #3, Long (2017), 11th WC #4, Long (2015), 24th WC #9, Long (2016) Ranked 11th in World Ranking. 14. Fanni Gyurkó HUN 32nd WOC Long (2016), 31st WOC Long (2015), 28th WOC Long (2014), 15th WOC Long (2012), 32nd EOC Long (2014), 40th WOC Long (2010), 35th WC #3, Long (2017), 41st EOC Long (2012), 23rd WOC Long (2009) Ranked 52nd in World Ranking. 15. Anna Serrallonga ArquÃ©s ESP 21st WOC Long (2016), 44th WOC Long (2014), 41st WOC Long (2013), 39th WOC Long (2012), 26th WOC Long (2011), 39th EOC Long (2014), 43rd WC #3, Long (2017), 37th WC #10, Long (2015), 30th WC #2, Long (2014) Ranked 66th in World Ranking. 16. Susen Lösch GER 22nd WOC Long (2016), 37th WOC Long (2015), 40th WOC Long (2014), 46th WC #3, Long (2017), 26th WC #10, Long (2015), 56th WC #4, Long (2015), 50th WC #8, Long (2011), 20th JWOC Long (2013), 24th JWOC Long (2012) Ranked 53rd in World Ranking. 17. Natalia Efimova RUS 17th WOC Long (2015), 17th WOC Long (2013), 14th EOC Long (2016), 15th EOC Long (2012), 18th WC #9, Long (2016), 25th WC #3, Long (2017), 38th WC #4, Long (2015), 17th WOC Long (2008), 14th EOC Long (2008) Ranked 25th in World Ranking. 18. Lizzie Ingham NZL 31st WOC Long (2016), 28th WOC Long (2015), 13th WOC Long (2011), 12th WC #10, Long (2015), 13th WC #3, Long (2015), 46th WC #4, Long (2015) Ranked 59th in World Ranking. 19. Sandra Pauzaite LTU 43rd WOC Long (2016), 34th WOC Long (2014), 35th WOC Long (2011), 22nd WOC Long (2010), 38th EOC Long (2014), 51st EOC Long (2012), 16th WOC Long (2006), 18th WOC Long (2007), 30th WOC Long (2008) Ranked 99th in World Ranking. 20. Olga Sluta UKR 51st WOC Long (2016), 30th WOC Long (2013), 31st WOC Long (2012), 49th EOC Long (2016), 26th WOC Long (2010), 56th WC #3, Long (2017), 38th WOC Long (2009), 29th EOC Long (2010), 84th WC #4, Long (2015) Ranked 109th in World Ranking. 21. Maja Alm DEN Bronze WC #3, Long (2017), 6th WC #9, Long (2016), 17th WOC Long (2010), 7th WC #8, Long (2011), 39th WOC Long (2009), 26th EOC Long (2010), 12th JWOC Long (2007), 21st JWOC Long (2008) Ranked 4th in World Ranking. 22. Anastasia Denisova BLR 6th WOC Long (2016), 23rd WC #9, Long (2016), 50th WC #4, Long (2015), 21st JWOC Long (2013), 60th JWOC Long (2012) Ranked 26th in World Ranking. 23. Sari Anttonen FIN 16th WOC Long (2014), 7th WC #9, Long (2016), 48th EOC Long (2016), 27th EOC Long (2014), 7th WC #8, Long (2014), 14th WC #3, Long (2017), 8th WC #2, Long (2014), 33rd WC #4, Long (2015), Bronze JWOC Long (2010) Ranked 22nd in World Ranking. 24. Hanna Wisniewska POL 39th WOC Long (2016), 19th WOC Long (2011), 46th EOC Long (2016), 43rd WC #9, Long (2016), 74th WC #4, Long (2015), 7th JWOC Long (2010), 47th JWOC Long (2009) Ranked 94th in World Ranking. Olav Lundanes (Norway) won the WOC long distance title in Strömstad in 2016 – and before that in year 2010 and 2012 – and is the biggest favourite also this year. Ludanes’ biggest rival on the WOC long distance the last year, Thierry Gueorgiou who won the discipline in 2011, 2013, 2014 and 2015, is not on the start on the Long distance this year. Gueorgiou is focusing 100% on finally taking the WOC middle distance again on Thursday. 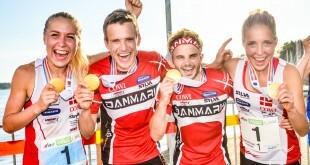 Instead the two Swiss runners Daniel Hubmann and Matthias Kyburz may very well be the biggest rival for Lundanes. Hubmann won the WOC long distance back in 2008 and 2009 – and has thus waited 7 years for a new title on the WOC Long distance while steadily performing on top level. On the Sprint Hubmann won again after many years on Sunday when he took his 24th WOC medal, showing excellent form and mental strength – can he do the same on the Long distance? Lundanes, Gueorgiou and Hubmann have shared the WOC long distance titles between them since 2008, but new athletes are coming up and challenging for the long distance title. Matthias Kyburz has performed well on the long distance many times without managing to put it all together at WOC – but is definitely strong enough to battle for gold. The biggest threat for Olav Lundanes and Daniel Hubmann may however be Lundanes’ team mate Magne Dæhli – known to be a very slow starter, but extremely strong towards the end of tough, long, long distance races. The Estonian forest is tough and green, and should be a good fit for Dæhli. The Swedes must also be counted in among the favourites – especially William Lind is a man who can get a top result if he manages to put everything together on the day when it really counts. Also count in Sunday’s Sprint Silver medalist Frederic Tranchand. Tranchand has run many good Long distance races the last years where he has been only one or two mistakes from taking a big win – maybe his excellent Sprint performance can make him relax more and get a top performance also at the Long distance? The two last big outsiders are Timo Sild (Estonia) and Eskil Kinneberg (Norway). Sild on home ground could get all the way to a medal on a good day – he showed in Strömstad last year that he has a top performance in him. Kinneberg has shown in the big relays that he can beat anybody on a good day. This is going to be very exciting! 1. 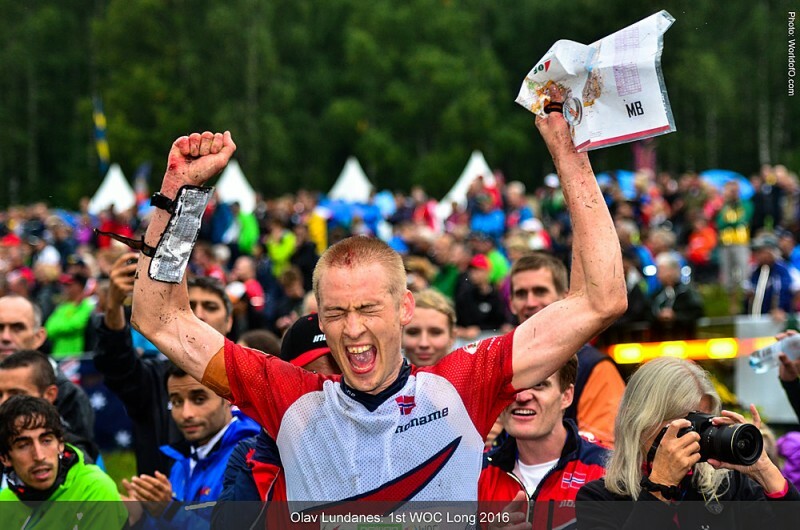 Olav Lundanes NOR Gold WOC Long (2016), Gold WOC Long (2012), Bronze WOC Long (2015), Bronze WOC Long (2014), Gold WOC Long (2010), Silver EOC Long (2014), Gold EOC Long (2012), Silver WC #9, Long (2016), Bronze WC #10, Long (2015), Bronze WC #10, Long (2010), Bronze WC #10, Long (2010), Gold JWOC Long (2007), Gold JWOC Long (2005), Silver JWOC Long (2006) Ranked Gold in World Ranking. 2. 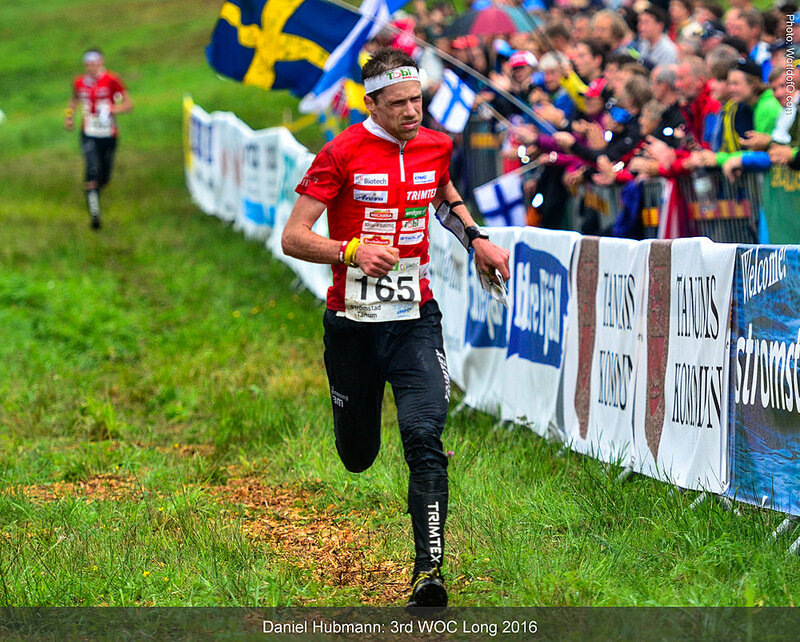 Daniel Hubmann SUI Silver WOC Long (2015), Silver WOC Long (2014), Gold EOC Long (2016), Bronze WOC Long (2016), Gold EOC Long (2014), Gold WC #10, Long (2015), Gold WOC Long (2009), Gold EOC Long (2010), Silver WC #3, Long (2015), Gold WOC Long (2008), Silver EOC Long (2008), Silver EOC Long (2006), Silver WC #5, Long (2008), Gold JWOC Long (2002), Bronze JWOC Long (2003) Ranked Silver in World Ranking. 3. 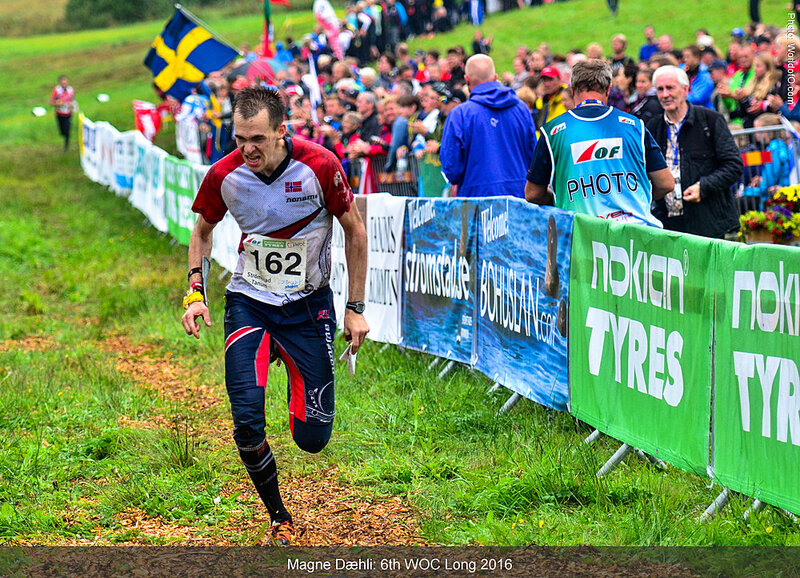 Magne Dæhli NOR Silver EOC Long (2016), Gold WC #3, Long (2017), 6th WOC Long (2016), 5th WOC Long (2013), 13th WOC Long (2015), Bronze WC #8, Long (2014), 11th WOC Long (2014), 4th WC #9, Long (2016), 15th EOC Long (2014), Silver JWOC Long (2007) Ranked 4th in World Ranking. 4. Matthias Kyburz SUI Gold WC #9, Long (2016), Gold WC #3, Long (2015), Gold WC #4, Long (2015), 7th WOC Long (2016), 6th WOC Long (2015), 5th WOC Long (2014), 7th EOC Long (2016), 19th WOC Long (2012), 5th WC #10, Long (2015), Bronze JWOC Long (2010), Bronze JWOC Long (2008) Ranked Bronze in World Ranking. 5. Frederic Tranchand FRA 4th WOC Long (2015), 8th WOC Long (2016), 8th WOC Long (2012), 14th WOC Long (2014), 5th EOC Long (2014), 8th EOC Long (2016), 7th WC #4, Long (2015), 8th WC #9, Long (2016), 10th EOC Long (2012) Ranked 19th in World Ranking. 6. Fabian Hertner SUI 5th WOC Long (2015), 4th WOC Long (2014), 4th EOC Long (2014), Bronze EOC Long (2010), 5th WC #8, Long (2014), 7th WC #3, Long (2015), 18th WC #4, Long (2015), 28th WC #10, Long (2015), 14th WC #8, Long (2011) Ranked 46th in World Ranking. 7. Dmitriy Tsvetkov RUS 4th WOC Long (2013), 25th WOC Long (2016), 7th WOC Long (2012), 15th WOC Long (2014), Gold EOC Long (2008), 23rd EOC Long (2016), 12th WOC Long (2011), 5th WOC Long (2009), 8th EOC Long (2012), Bronze WC #10, Long (2008), Gold JWOC Long (2003) Ranked 30th in World Ranking. 8. 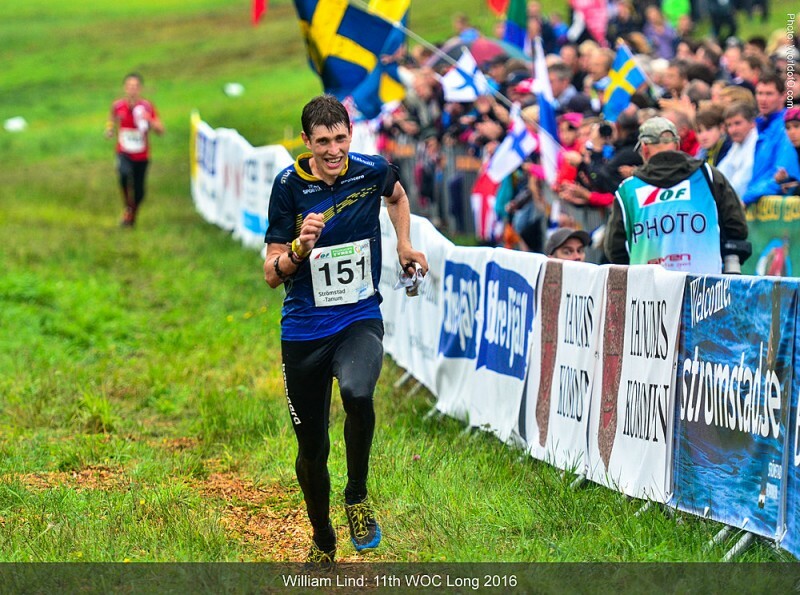 William Lind SWE Silver WC #3, Long (2017), 11th WOC Long (2016), 6th EOC Long (2014), 6th WC #4, Long (2015), 7th WC #8, Long (2014), 25th WOC Long (2010), 11th WC #3, Long (2015), 13th WC #10, Long (2015), 5th WC #8, Long (2011) Ranked 13th in World Ranking. 9. Gernot Kerschbaumer AUT 8th WOC Long (2014), 22nd WOC Long (2016), 16th WOC Long (2015), 15th WOC Long (2012), 12th EOC Long (2016), 6th WC #9, Long (2016), 17th WOC Long (2011), 21st EOC Long (2014), 14th EOC Long (2012) Ranked 20th in World Ranking. 10. Jan Šedivý CZE 12th WOC Long (2016), 15th WOC Long (2015), 17th WOC Long (2014), 16th WOC Long (2013), 10th EOC Long (2016), 12th WOC Long (2012), 27th WOC Long (2011), 12th EOC Long (2012), 14th WC #3, Long (2017) Ranked 14th in World Ranking. 11. Timo Sild EST 10th WOC Long (2016), 22nd WOC Long (2015), 19th WOC Long (2013), 37th WOC Long (2014), 18th EOC Long (2014), 21st WC #3, Long (2017), 9th WC #2, Long (2014), 13th WC #8, Long (2014), 39th WC #4, Long (2015), Silver JWOC Long (2008) Ranked 22nd in World Ranking. 12. Fredric Portin FIN 16th WOC Long (2016), 19th WOC Long (2015), 9th EOC Long (2016), 14th WOC Long (2012), 40th EOC Long (2014), 9th WC #4, Long (2015), 17th WC #10, Long (2015) Ranked 15th in World Ranking. 13. Simonas Krepsta LTU 38th WOC Long (2016), 29th WOC Long (2015), 27th WOC Long (2014), 15th WOC Long (2013), 20th WOC Long (2011), 21st WOC Long (2009), 32nd WOC Long (2003), 20th EOC Long (2008), Bronze JWOC Long (2004) Ranked 184th in World Ranking. 14. Artem Panchenko UKR 39th WOC Long (2016), 47th WOC Long (2015), 35th WOC Long (2014), 25th WOC Long (2013), 37th WOC Long (2012), 4th WC #2, Long (2014), 38th EOC Long (2014), 49th WC #3, Long (2017), 61st WC #4, Long (2015) Ranked 89th in World Ranking. 15. Tue Lassen DEN 8th WOC Long (2013), 21st WOC Long (2015), 9th WOC Long (2012), 37th WOC Long (2011), 25th WC #9, Long (2016), 18th EOC Long (2010), 25th WC #10, Long (2010), 25th WC #10, Long (2010), 4th WC #5, Long (2008) Ranked 51st in World Ranking. 16. Martin Regborn SWE Bronze EOC Long (2016), 8th WC #3, Long (2017), 9th WC #9, Long (2016), 4th JWOC Long (2012), 29th JWOC Long (2011) Ranked 10th in World Ranking. 17. Andrey Salin BLR 35th WOC Long (2015), 55th WOC Long (2016), 60th WOC Long (2014), 45th WOC Long (2013), 27th WC #9, Long (2016) Ranked 109th in World Ranking. 18. Denys Sherbakov UKR 32nd WOC Long (2016), 36th WOC Long (2014), 26th EOC Long (2016), 29th EOC Long (2014), 34th WC #3, Long (2017), 42nd EOC Long (2012), 29th WC #4, Long (2015), 27th WC #2, Long (2014) Ranked 44th in World Ranking. 19. Vincent Coupat FRA 20th WOC Long (2016), 34th WOC Long (2015), 14th WC #9, Long (2016), 46th WC #4, Long (2015), 34th EOC Long (2010), 13th JWOC Long (2006) Ranked 47th in World Ranking. 20. Milos Nykodym CZE 14th WOC Long (2016), 15th EOC Long (2016), 9th WC #9, Long (2016), 37th EOC Long (2012), 47th WC #4, Long (2015), 50th WC #8, Long (2011), 74th WC #10, Long (2010), 74th WC #10, Long (2010), 12th JWOC Long (2010) Ranked 25th in World Ranking. 21. Aleksei Alekseyonok BLR 33rd WOC Long (2016), 32nd WOC Long (2013), 35th WOC Long (2012), 25th EOC Long (2012) Ranked 104th in World Ranking. 22. Eskil Kinneberg NOR 5th WC #3, Long (2017), 16th EOC Long (2016), Gold JWOC Long (2012), 22nd EOC Long (2014), 18th WC #2, Long (2014), 4th JWOC Long (2010), 19th JWOC Long (2011) Ranked 12th in World Ranking. 23. 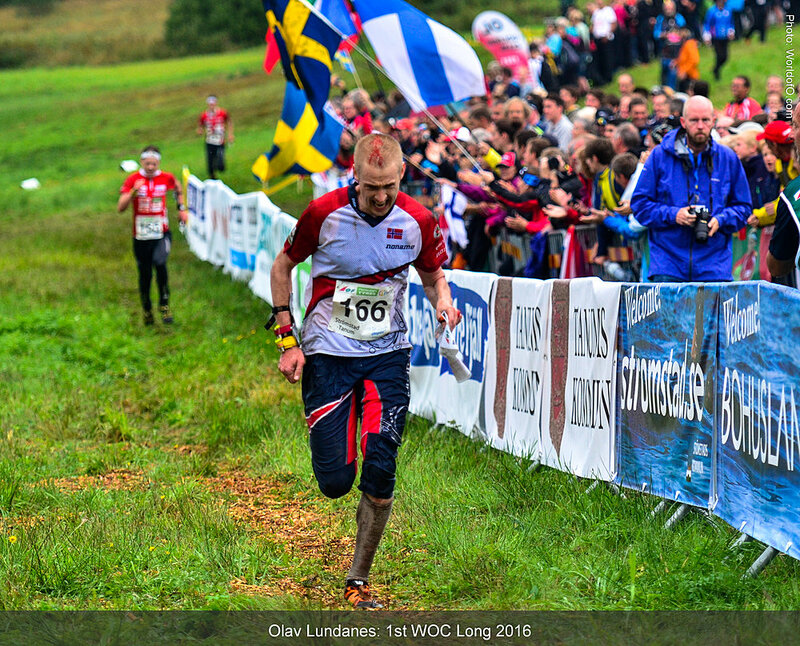 Johan Runesson SWE 39th WOC Long (2013), 6th WC #3, Long (2017), 47th EOC Long (2016), 9th WC #10, Long (2015), 18th EOC Long (2012), 13th WC #4, Long (2015), Silver JWOC Long (2010), 21st WC #8, Long (2014), Gold JWOC Long (2008) Ranked 9th in World Ranking. 24. Eric Bone USA 56th WOC Long (2016), 59th WOC Long (2015), 61st WOC Long (2014), 45th WC #5, Long (2008), 59th WC #10, Long (2008) Ranked 781st in World Ranking. 25. 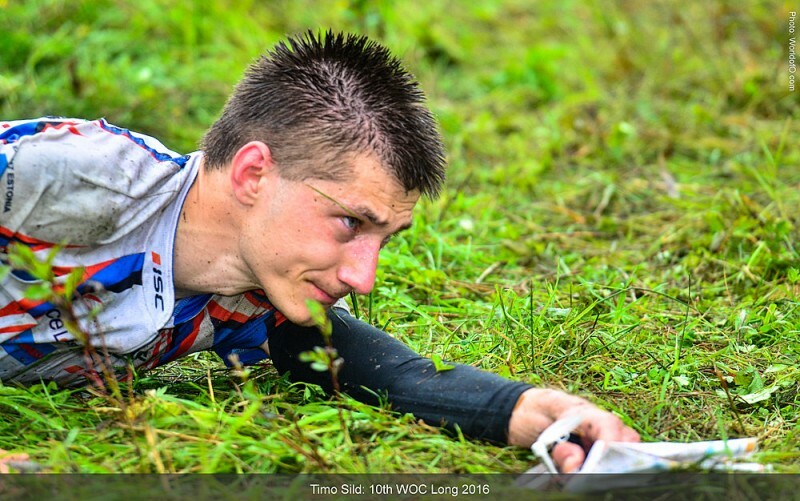 Kenny Kivikas EST 30th WOC Long (2016), 28th WC #3, Long (2017), 40th EOC Long (2012), 33rd WC #9, Long (2016), 40th WC #10, Long (2015), 11th JWOC Long (2010), 40th JWOC Long (2011) Ranked 63rd in World Ranking. 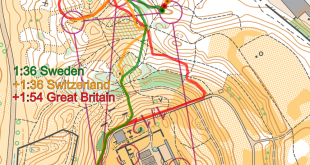 WOC 2017 Sprint Women Analysis: All decision points explained!